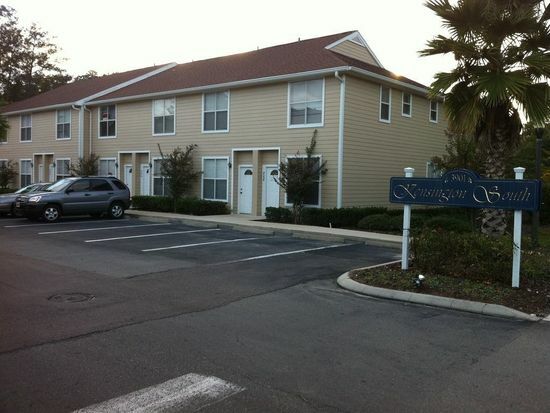 Students and staff at the University of Florida will love the spacious, two-bedroom townhomes at Kensington South. 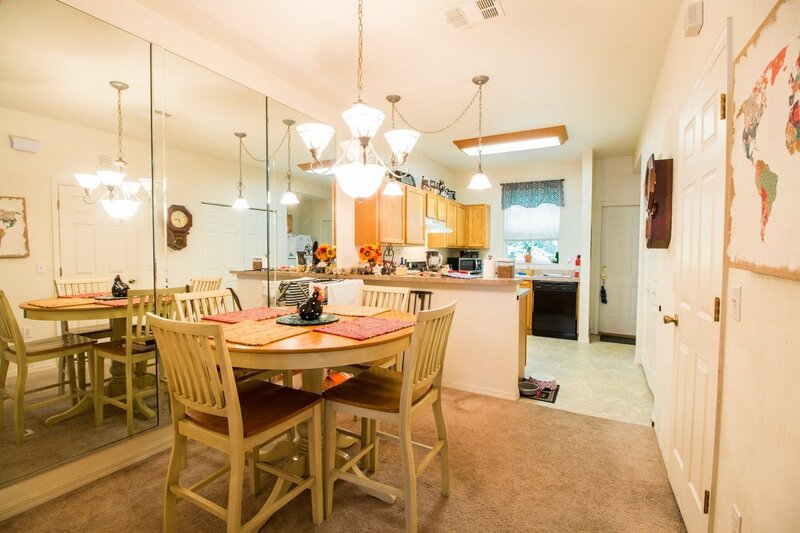 Featuring large kitchens with breakfast bars, spacious bedrooms with private bathrooms, and plenty of storage space, these townhomes are great for roommates to share. 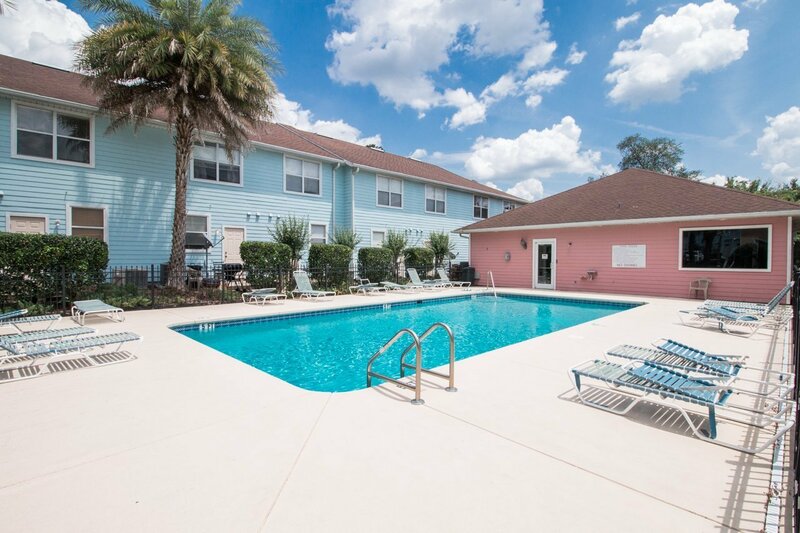 The community also offers a fitness area, pool, and high-speed internet is included in the HOA fees. 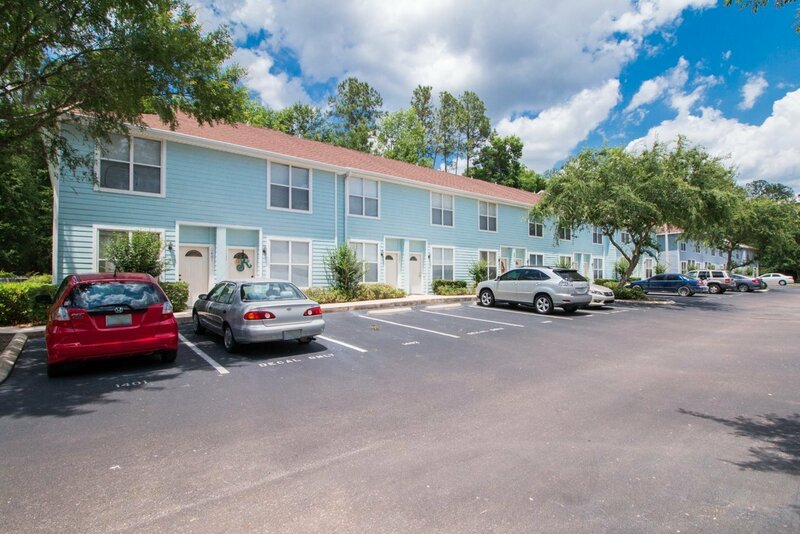 Not only is Kensington South a pleasant community, but it’s conveniently located to several popular Gainesville locations. The Reitz Student Union on the University of Florida’s campus is only three miles away and easy to get to via bus, car, or bicycle. To reach campus by car or bike, the easiest route is to go east on SW 20th Avenue to SW Archer Road. SW Archer Road borders campus along the south, so to reach classes on the south side of campus, near the College of Nursing, or the College of Pharmacy, turn north onto Newell Drive. Newell Drive goes through campus, so even if you have classes on the north side of campus near Library West, the College of Journalism and Communications, or the College of Engineering, that route is still convenient. However, students can also access classes on the north side by going north on SW 13th Street from SW Archer Road and turning onto campus along Stadium Road or SW 2nd Avenue. To get to campus via the bus, there is a bus stop right in front of the community. The #20 route goes from the Reitz Student Union up to The Oaks Mall, while the #28 route goes from The Hub on campus to Butler Transfer Station at Butler Plaza. With these routes, not only is it easy to get to campus but also popular shopping destinations. It’s also on the C “Later Gator” Route, for safe night-time transit travel and goes from the Oaks Mall all the way across Gainesville to the Rosa Parks Transfer Station. 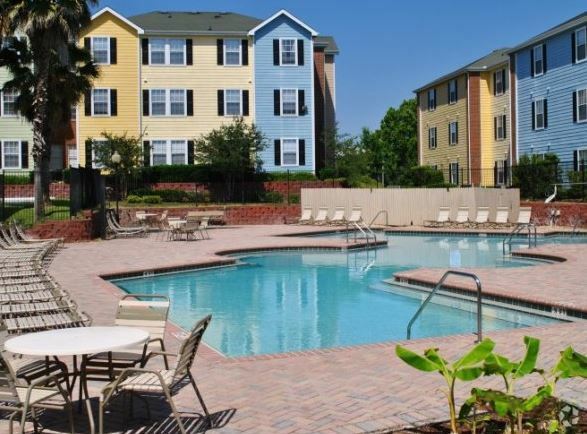 In addition to campus, Kensington South is convenient to both the Oaks Mall and Butler Plaza. The Oaks Mall is a large shopping mall with popular shopping and dining destinations both in and around the area. It’s only about a 10-minute drive going west on SW 20th Avenue to SW 62nd Street. Butler Plaza is home to a large movie theater, Target, Trader Joe’s and Publix, in addition to several fast food and casual restaurants. 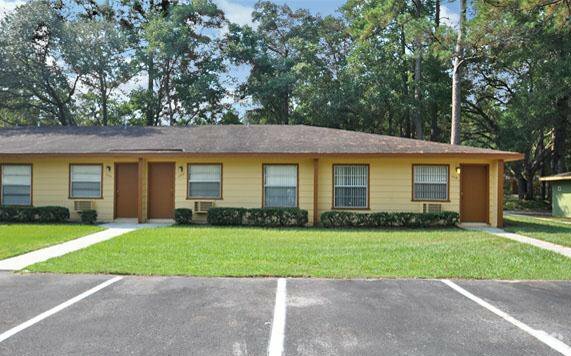 It’s located at SW Archer Road and SW 34th Street. It’s only about a mile away and is easy to access by Plaza Boulevard.